If you like to see how Japan is, then you should watch the Only in Japan GO channel on YouTube. It is a channel, which is made by a very talented person John. He even did hitchhiking from south to north part of Japan. Distrita have been mentioning his productions here before, where he actually got a quite interesting ride thru a skyscraper in Osaka, Japan. But in this video, he is tasting sweet cakes together with Jennifer. The Ramen Cake however is the most interesting of them, which reminds of a Ramen dish that is a dinner soup kind of meal in Japan. But it is a cake! And that’s what made me share this video on Distrita. 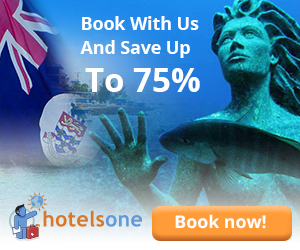 Read On…! In this video, John is also together with a guest Jennifer Julien which he revealed that he have known for several years. Nice and talented lady for sure. Together, they went to Akihabara to try this Ramen Cake dessert dish that costs 1080 YEN and they also shows you how amazingly it is presented. It really looks like they are eating Ramen, which is a soup-alike dish that is sold everywhere in Japan. In the video you will see how John and Jennifer reacts to this dish. Here you can see the Ramen Cake. You actually get everything that you see in the window and below it all you will see the cake itself also. It’s a really great design for sure! This dessert place, must be visited when visiting Akhibara in Tokyo for sure! So! If you love Manga or Electronics and plan to visit this area of Tokyo, Japan. Then they recommend to try this Ramen Cake. There is also smaller versions that they sell. John talks about that this area of Tokyo got lot’s of Ramen. However, he also mentions that Ramen in the Akihabara area of Tokyo is just average. However! 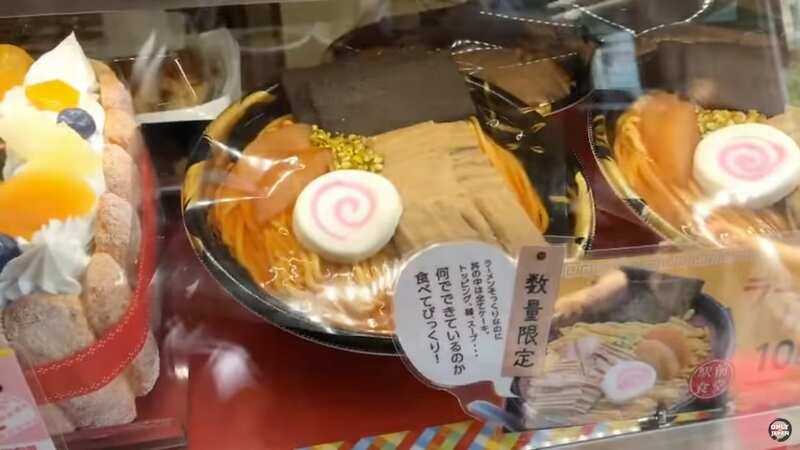 The cake looks exactly like on the window and the look is very similar to a Ramen dish. He also got a quite positive surprise regarding the Ramen Cake taste. The presentation of the cake is also really nice and they walk to a place where they could sit and eat it. So! It is nice to know that there is areas in Tokyo, Japan where you can just sit and eat. Good to know. Thanks to John for yet another great video. You make the world smile more! All love from Norway!